...have a fantastic and inspiring 2013, Erika! Good luck with the school issue. We have to start thinking of a school for our eldest this year and I'm not looking forward to it either. Hello, I just discovered your blog, I love it!! I'm curious to hear about your creative plans. Greetings from Holland! 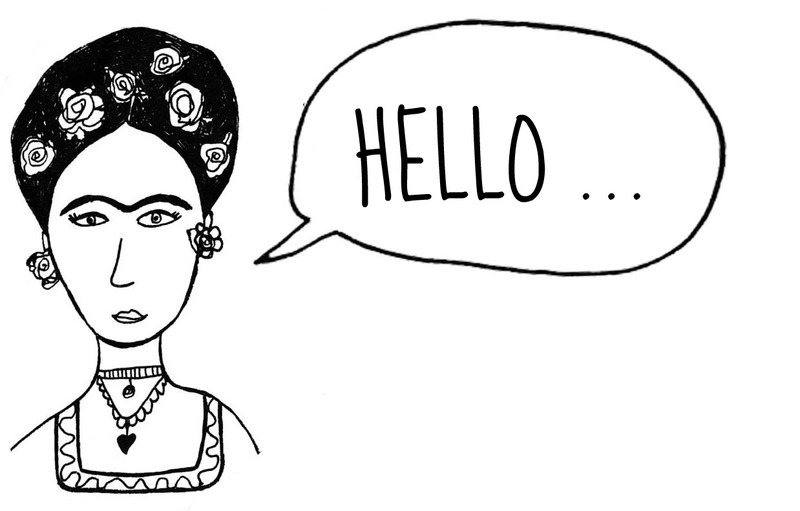 This is my first visit to your blog and your Frida design is absolutely awesome! She is one of my favourite artists and I can't wait to go to the exposition about her and Riviera's art in Paris at the end of the year. Looking forward to discovering more of your artwork here! Have a lovely Saturday evening and a wonderful Sunday!